Why Did the ‘Chicken Cross the Road? Big Soul Chicken plays straight up “Soul, Classic R&B and Motown”. We want to get you out of your seat and on the dance floor, make you remember the music that you love and keep you happy all night long. Rodney comes from the Philadelphia R&B and Soul scene, and when he sings, you’ll know he’s the real deal. He’s been front man for the Peter Ruebens Orchestra and Ivan Taub’s Overdrive as well as stints with Philly Heat and the Roundhouse Blues Band. Not only does Rodney sing and play guitar, he dances....but sometimes needs help getting up after doing a split. John started playing bass in high school in Anchorage Alaska. He’s played big band jazz in Oklahoma, Country in California, jazz fusion in Houston, TX, Blues, Rock and Gospel on the East Coast. His love of R&B goes back to the first time he heard Sly and the Family Stone in the early ‘70s. Big Soul Chicken is the band he knew he’d get to play in one day. Tom is a Saxophonist, Flutist. Arranger, Composer and Instructor in the New Jersey/Pennsylvania area. He started performing at the age of 14 on clarinet in the Trenton area. He is a graduate of the Navy School of Music and spent 3 years in the 19th Army Band. He spent 8 years as house musician for Club Med performing at different locations worldwide, after which he spent 4 years as a freelance musician in Paris France. 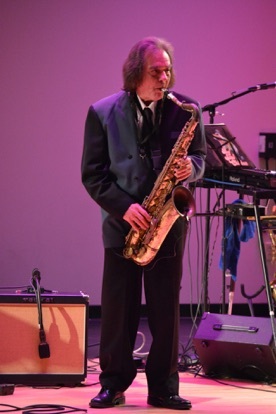 Since returning to the US, Tom has been working in the New Jersey/Pennsylvania area with many fine musicians such as Bill Lacy, Richie Cole and the Legends of Jazz just to name a few. Tom continues to teach at various locations such as Trenton Community Music School ( private lessons and ensembles ), 6 years as Jazz Band Director at The Hun School of Princeton and the Blue Mountain Festival Day Camp among others. 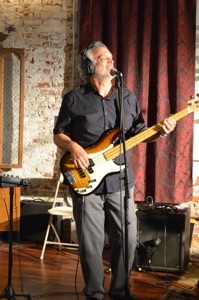 An accomplished musician with many years of performing and recording in the Philadelphia area. 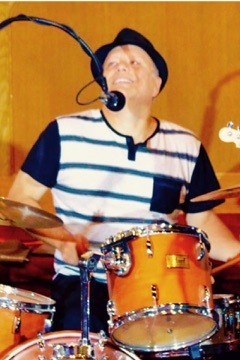 Tony holds a performance degree from Temple University along with the honor of taking the stage with acts like: dance band Soul Purpose; children's recording artist David Jack; singer songwriter Pamela Mering and jazz vocalist Michael Andrews. Tony started the band Just For Kicks with brothers Tom, Nick and Mike in his teens and attributes his success to his father Dave who instilled his love for the art . 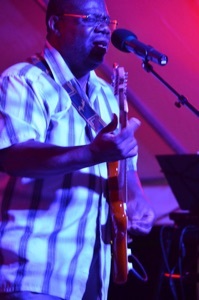 Tony loves and performs all styles of music, but his passion lies with the soul stuff for which he has a natural feel. Big Soul Chicken is available to play for you! ....To get to the gig, of course!